Super Mario Odyssey has smashed sales records, selling over two million copies in the first three sale days worldwide. 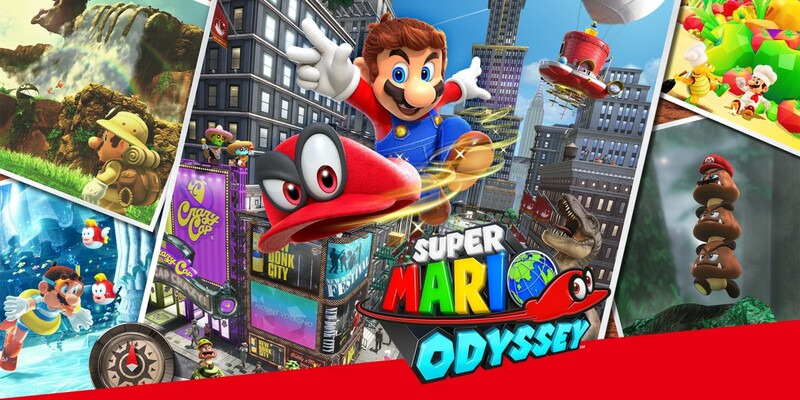 Nintendo of America have announced Odyssey has sold 1,1 million units in its first five days on sale in the States, while Nintendo of Europe confirmed that SMO was the both the fastest-selling Mario game and Switch game-ever in the region- surpassing even Super Mario Galaxy and Galaxy 2‘s launch weekends. The good news didn’t stop there as the Japanese gaming giants also revealed that 2.6 million Switch units have already been sold by the end of October in US. This means the Switch is on track to sell 14 million units worldwide between April 2017 and March 2018- which would already surpass total numbers of sales for the ill-fated Wii U. Having confirmed additional Switch consoles will be available to meet the massive demand, and hugely positive swathes of reviews coming in for Super Mario Odyssey, it looks like being a Happy New Year for Nintendo.